But I still have too much stuff! Last weekend we had another trip to the tip and to the charity shop. The car was jam-packed full on both trips of stuff we no longer wanted/needed or had broken. Admittedly, a lot was the things we had just got round to removing from Christmas like the big boxes etc. But I was still in shock at how much we were getting rid of. I am definitely not a sentimental person so decluttering is not difficult in that respect, but I do struggle with the idea of all that money, time and waste we have produced by buying it, owning it, and then disposing of it (whether charity or the dump). As a family, we are trying to embrace minimalism as much as we can. Cue eye roll from the hubby who would only own a bed, clothes and his console! 🙄 We have decluttered multiple times, gave away multiples and been intentional with the items we are bringing into the house. However, I’m constantly reminded that it is a process. Realising and challenging the reasons why we buy things because 9/10 times there is a reason, can be hard. These reasons can be so uncomfortable, like really uncomfortable. 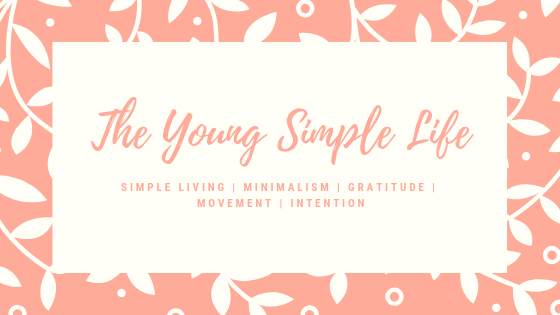 In my bid to transition to a minimalist mindset, I had to work through my issues of control and impatience. I bought stuff just because I could buy it now! I so often bought things because they were cheaper than the item I wanted, but then didn’t really like them that much and bought something else instead later on! I think comparison also plays a part! Even when it comes down to this blog- you look at other peoples blogs and see how well theyre doing etc… So often we slip from the mindset of contentment, realignment is so often needed.